Easy to use, operation is convenient, humanized interface. It supports the feature of sorting articles, categories can support multiple levels. It supports the feature of sharing content. Anyone can see share bar on content detail page, content can be shared on twitter, facebook, google+ and so on websites. It supports the feature of exporting and importing content as xml file. Through this function, admin can transfer content from this one module to another one module. It supports generating content to RSS feed. It supports configuring Write permission. In module back-end, admin can configure which persons to be authors. It can support giving comments on articles. Users can also reply one certain piece of comment. Admin can configure whether to display Captcha in the section where users submit comments. You can define content list template and content detail template in the back-end. You can modify module css styles in back-end. Implements ISearchable interface to index items, which will show up in DNN Search Results. Implements IPortable interface which gives the ability to Import/Export data. Added "Open Comment Function" option. Admin can use this option to control whether to display commenet section on content detail page. Added "Display Gallery" option. Admin can use this option to control whether to display Gallery on content detail page. Added "Display Document" option. Admin can use this option to control whether to display document on content detail page or content list page. Added [Document] token in the templage. Filtered Html marker for comments. Module supports the feature of searching content. Module supports Calendar feature. Through clicking one certain date, it will display which contents should be published on that day. Module supports Categories function. It will display contents which are belonged to that category after users click one certain category. Module supports Tags function. It will display contents which include that tag after users click one certain tag. Module supports Author function. It will display contents which are written by that author after users click one certain Author. Module supports Archives function. 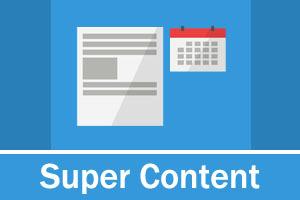 It will display which contents are published in that month after users click one certain month. Module supports Most function, this function can display the most popular content, the latest ublished content and the latest submitted comment. You can configure width and height of the big image. You can configure whether to allow full screen or not. You can configure to auto play or not. You can configure animation time. You can cofigure delay time between slideshow transitions. You can cofigure thumbnail position, you can select top or bottom. You can cofigure whether to display arrow or not. You can cofigure whether to display thumbnail arrow or not. You can configure the slideshow whether to loop. We greatly optimize module performance.